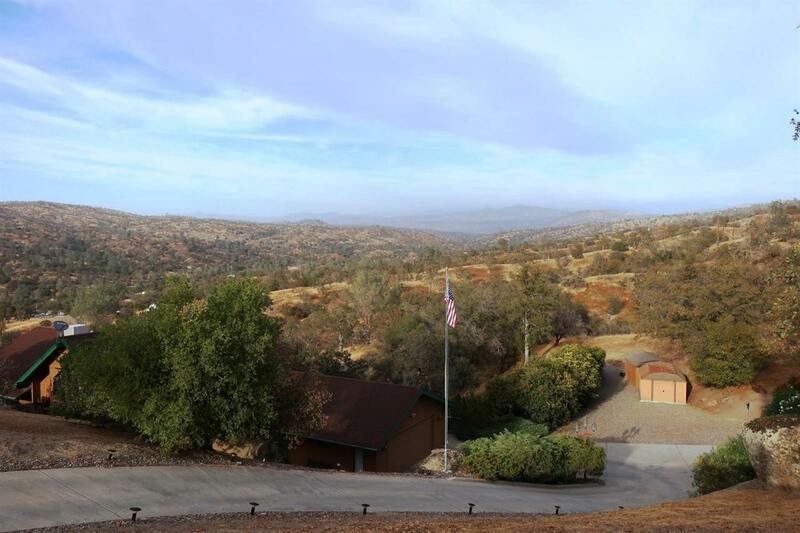 Panoramic view from this single level 3 BD, 2 BA customized Advanced home on 4.61+/- acres. 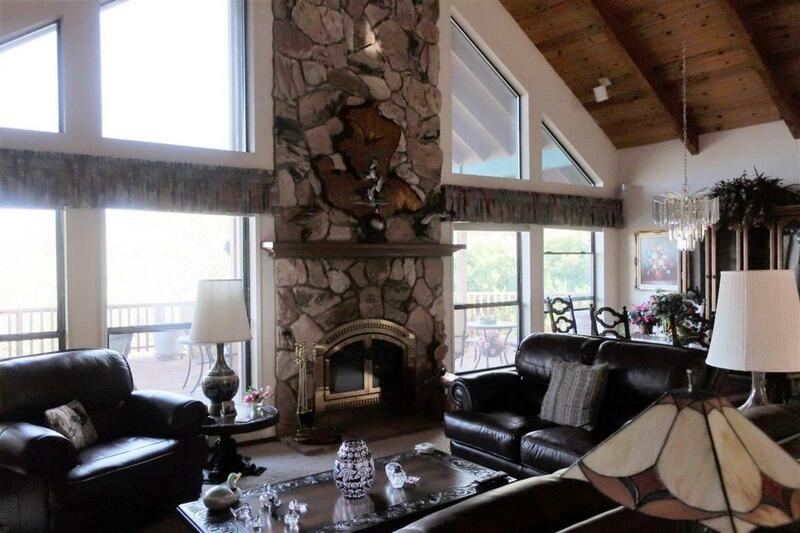 The dramatic grand room has a stone fireplace & vaulted wood beamed ceilings. Extra lg. family room w/wet bar. Kitchen has stainless steel appliances, breakfast bar & granite counter tops, Formal dining area in grand room plus additional casual dining area . Lg. master BD suite w/direct access to deck area. 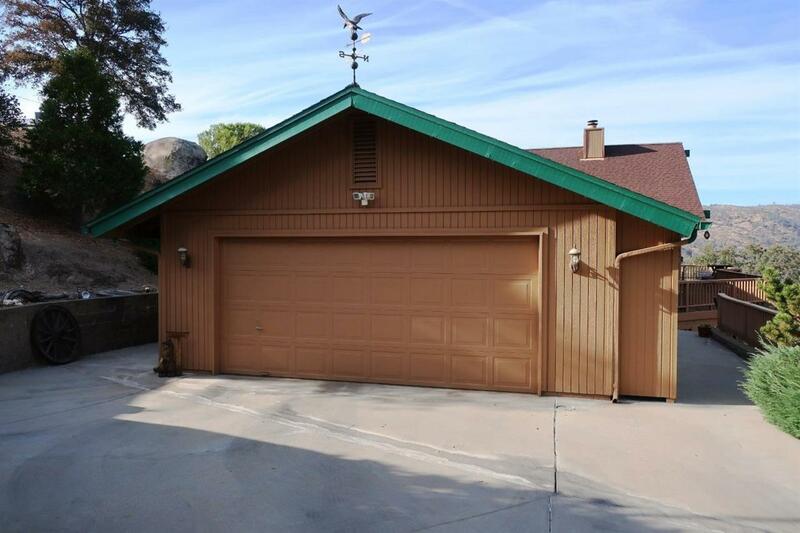 Home has built-in vacuum system, instant hot water system, customized light fixtures, recessed lighting, audio speaker system, ceiling fans in all rooms, 2 dual pac heating & A/C units + 2 evaporative coolers. Upper windows have newer solar screens. Back-up generator & hook up hard wired to the house. Over 1200 sq. ft. of deck including pool side lower deck timed outside lighting system & driveway. Timed watering & drip system. Lots of parking. Yosemite Lakes Park is located between Fresno & Yosemite. 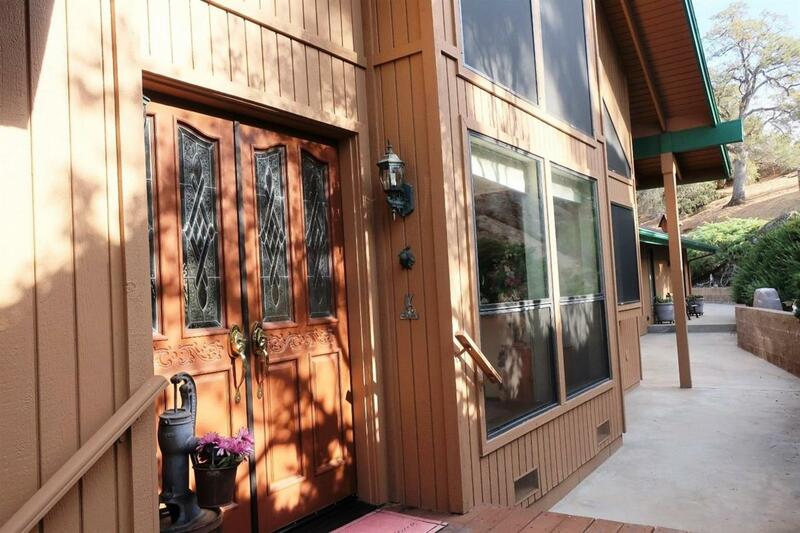 Community amenities include golf, pool & spa, equestrian center, clubhouse & more!